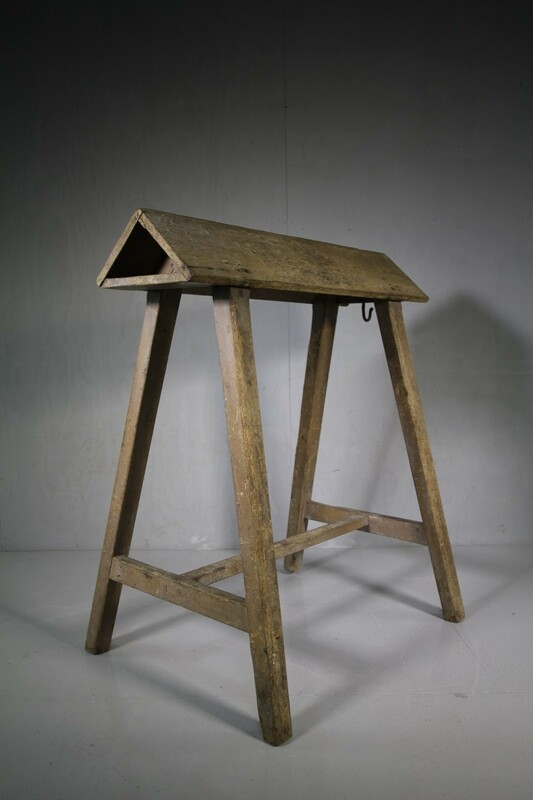 A very original, painted pine English antique saddle stand that features a tack hook for a bridle at one end and a small shelf at the other. 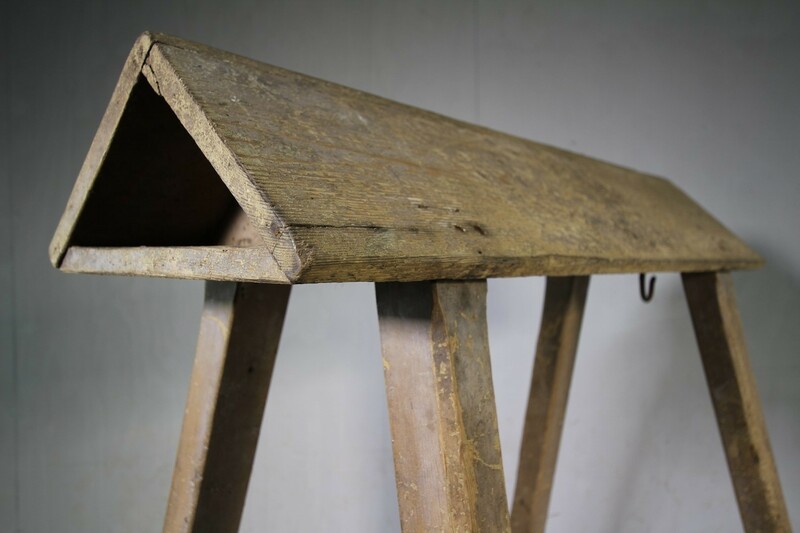 The shaped top could fit two to three saddles, depending on the saddle size. 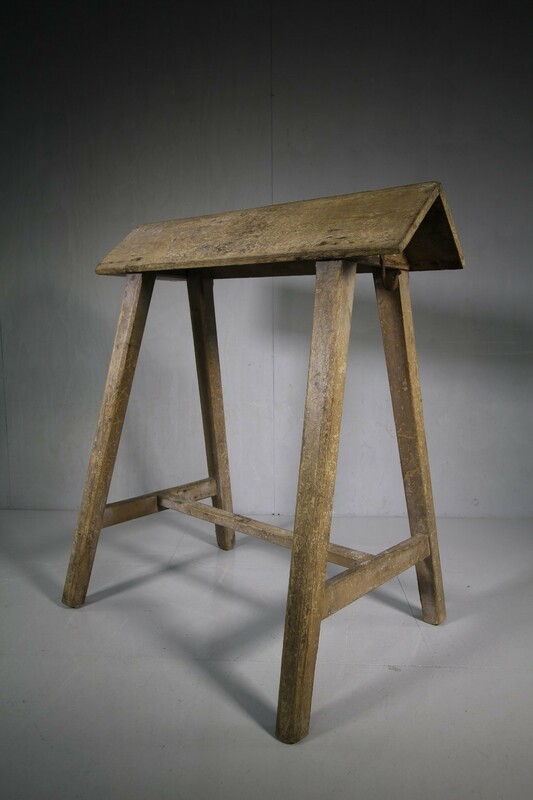 The four splayed legs are joined by a strecher, making this antique painted pine saddle stand very stable. 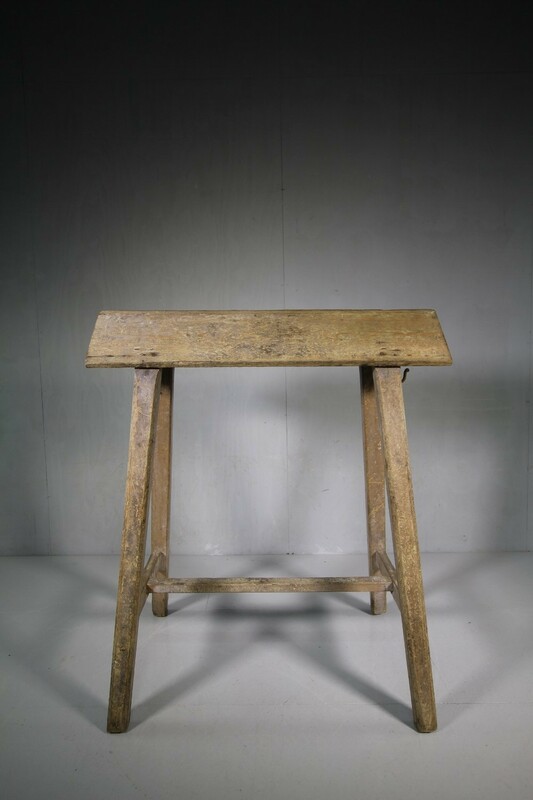 English and dating from around 1850. Could be used as a display rack in a shop.